Preludes usually serve as introductory movements in multi-movement works, though they also may stand alone. The formal structure varies widely. The title may also refer simply to the piece of music played at the beginning of a worship service. Posted in Form. Tagged form, Johann Vexo, La Trinité, Loïc Mallié, Notre Dame, Olivier Penin, Paris, Philippe Lefebvre, Pierre Pincemaille, Prelude, St. Denis, William Porter. 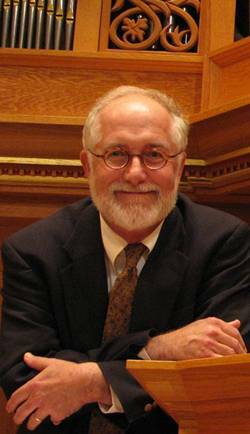 Porter studied organ at Oberlin College and Yale University where he received the DMA degree in 1980. He taught harpsichord and organ at Oberlin from 1974 to 1986 and taught organ, music history and music theory at the New England Conservatory in Boston from 1985 to 2002. He has also taught organ improvisation at the Eastman School of Music and McGill University. He has an article on North German Improvisational Practice in GOArt Research Reports Vol. 2 and an article on contrapuntal improvisation in the GOArt Research Reports, Vol. 3. Includes and improvised Magnificat setting. Posted in Organist. Tagged American, Canon, Course, Fugue, hymn, Information, Intermezzo, masterclass, Prelude, Scherzo, Smarano, teacher, video, Washington, William Porter. 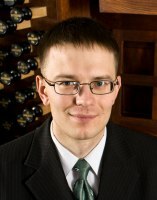 Vidas Pinkevicius graduated from the Lithuanian Academy of Music and Theatre in Vilnius with Bachelor‘s and Master’s degree in Organ Performance. He also holds Master’s degree from the Eastern Michigan University (USA) under Pamela Ruiter-Feenstra. He graduated from the University of Nebraska-Lincoln (USA) with the Doctor of Musical Arts degree in Organ Performance. At UNL, he defended his DMA dissertation on Improvisation of Keyboard Preludes in the Style of J.S. Bach. He also offers a free keyboard prelude improvisation course via email here. Posted in Information, Organist. Tagged American, Course, Eastern Michigan University, Information, J.S. Bach, Lincoln, Lithuanian, Lithuanian Academy of Music, Painting, Pamela Ruiter-Feenstra, Pieta, Prelude, Sleeping Beauty, style, University of Nebraska-Lincoln, Vidas Pinkevicius, YouTube. Jean-Pierre Leguay is a French organist, composer and improviser. 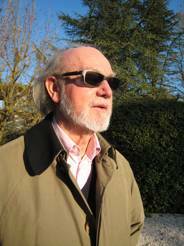 He studied organ with André Marchal, Gaston Litaize, Rolande Falcinelli, as well as counterpoint with Simone Plé-Caussade, and composition with Olivier Messiaen. He served as titular organist at Notre-Dame-des-Champs in Paris from 1961 to 1984. In 1985, Jean-Pierre Leguay was awarded the post of one of four titulaires des grands orgue of Notre-Dame, Paris alongside Yves Devernay, Olivier Latry and Philippe Lefèbvre, following the death of Pierre Cochereau. Full bio. You can hear him on Spotify. Posted in Organist. Tagged French, Jean-Pierre Leguay, Notre Dame, Paris, Prelude, Recording.